Location: Annan, Dumfries and Galloway, Scotland. Ownership / Access: Robert the Bruce ancestors. Notes: Annan Castle, was a castle that was located on the banks of the River Annan, in Annan, Scotland. A motte and bailey castle was built in the 12th century by the de Brus family, Lords of Annandale. 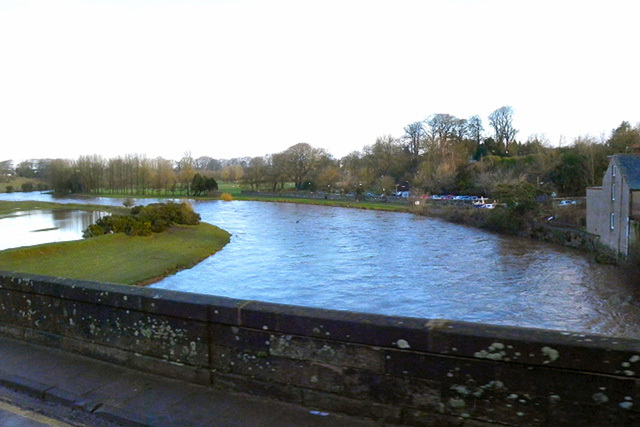 A flood in the mid-12th century changed the course of the River Annan, which caused the castle mound to be partially eroded. The castle was abandoned as the main seat of the de Brus family, who moved to Lochmaben Castle.